A Biographical sketch, such as this, can only strive to touch upon some of the more salient facets of the personality under review. But first, a word concerning his early days. On February 28th, 1904, “Dr. Stork” arrived in Lehighton, Pa., with a baby boy whom he delivered to George H. and Ella P. Kemmerer who promptly christened him John George. His school “vacations” were spent in attending Culver Military Academy. After graduation from High School he was associated with the Fourth Street National Bank of Philadelphia for two years then back to his books for three years at Columbia University. A vacation with his sister in Dallas proved to be the cross road of his life. He fell in love with Texas and Texans, more especially Miss Catherine Sanford, whom he married in 1929. They have two lovely, talented daughters, Mary Ellen and Catherine Ann. He started his business career with a Dallas firm; was soon manager of its Fort Worth branch, and when they decided to close it, he organized the Service Plumbing Supply Co., which today is recognized as one of the leaders in its field. He is President of this Company. He is also Vice President and Director of the Western Fidelity Life Insurance Co.; Vice President and Director of Texas Consumer Finance Co., and a director of The Hurst State Bank. A dedicated Christian, he has for years been active in the affairs of his church, at present serving as a member of the Board of Trustees as well as the building committee of St. Stephen Presbyterian Church. He is a citizen, par excellence; Director of the Chamber of Commerce; active member of its committees on Education, Civic Affairs, etc. ; Member of Tarrant County Crime Commission; and associate member Texas Police Association. Has been and is vitally interested in the Public Schools, is President of the Dad’s Club of W. C. Stripling Junior High School. As Co-Chairman of the Committee on Public Schools Week Observance in Fort Worth and Tarrant County, has been largely responsible for its consistently leading the State both in interest and attendance. A lover of music, he organized and played in his High School’s Band, the Culver Military Academy Band, was a member of the band at Columbia University, likewise of Moslah’s Shrine Band. Is one of the underwriters of the Dallas Grand Opera Association and a sponsor of the Fort Worth Civic Opera Association. Before becoming a member of the Philadelphia Order of DeMolay, in 1923; he promised himself that some day he would try to become a Mason. This promise reached fruition in 1931 when he was raised to the Sublime Degree of Master Mason in Riverside Lodge No. 1194 on July 9th. He affiliated with Julian Feild Lodge No. 908 January 3, 1940. Served as Worshipful Master in 1951-52. Exalted April 14, 1936, in Texas Chapter No. 362, R.A.M. High Priest 1952-53. Greeted May 24, 1938, Texas Council No. 321. Thrice Illustrious Master 1952-53. Created April 25, 1936, Worth Commandery No. 19. 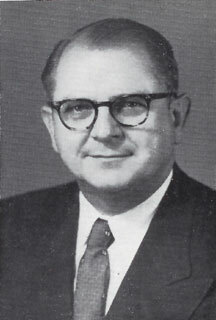 Eminent Ccmmander 1955. Viceroy-St. Timothy Conclave Red Cross of Constantine. Senior Warden-Dallas Lodge of Perfection. Coroneted 33° Inspector General Honorary, 1956. 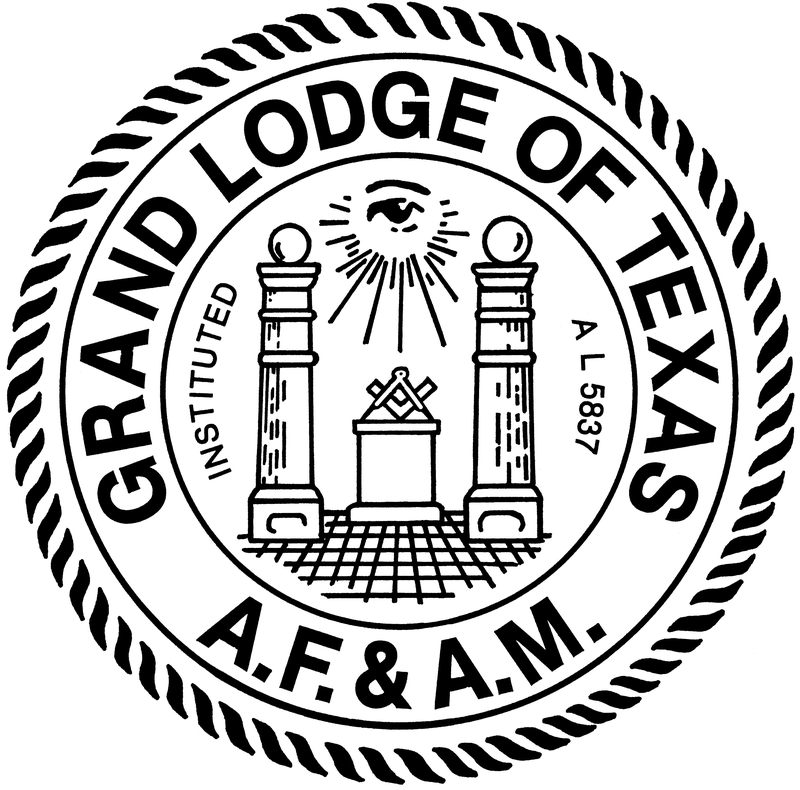 General Chairman-Fort Worth Scottish Rite Membership Committee. Past President-Fort Worth Scottsh Rite Association. Past President-Fort Worth Masters, Wardens and Secretaries Association. Past President-Fort Worth Masonic Service Bureau. Past District Deputy Grand Master, 64th Masonic District. Grand Senior Steward in 1954. Is also a member of El Texa Grotto, M.O.V.P.E.R., Moslah Shrine Temple, A.A.O.N.M.S., and the Royal Order of Scotland. Last, but by no means least in importance, he is President of the Masonic Home Independent School District. No Mason in Texas has given as liberally of his time and fortune to this, the greatest of our activities. Through his efforts and under his direction hundreds of others have contributed thousands of dollars to assist our graduates in obtaining a college education. In the discharge of the duties devolving upon him as Master of his Lodge, as District Deputy Grand Master and as the presiding officer of various appendant organizations, he exhibited such a dynamic personality, such devotion to the very Spirit of Freemasonry that his brethren placed him in the Grand Junior Wardens station at the Grand Annual Commuication held in December 1954. 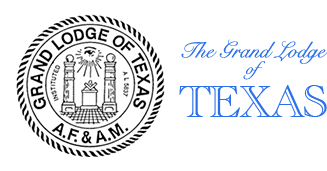 Even though he was considered at this period a “Well-read Mason,” being a perfectionist, he applied himself to the study of the Jurisprudence, traditions, edicts, customs and practices established in the long ago for the government of the Craft in Texas. That he succeeded in acquiring such knowledge is clearly demonstrated by the masterly manner in which he has acquitted himself during his year of service. With consummate zeal, vision and uncanny ability he has administered the affairs of Grand Lodge in such a manner as to warrant the bestowal of the highest encomiums. 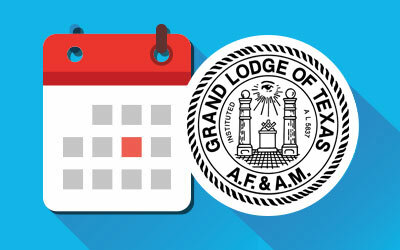 Masonry, and Masons in Texas, will feel the impact of his stewardship and be in his debt for many years to come.